This #fresh-looking #head #table #arrangement includes #yellow #roses, #blue #iris, #white #hydrangeas, #lavender #lisianthus, #white #freesias and #greens. It looks great with the #grey-purple #drapery! #Orange #rose #symbolizes # ‘fascination’. Give your #groom a #fascinating #boutonniere! #Calla #lily, #symbolizing #magnificent #beauty, is one of the #favorite #wedding #flowers to many #brides. A #bride’s #bouquet of all #white #calla #lilies with #crystal #inserts is #high-end and #elegant. #Pillars with #floral #arrangement on top are #great #decorations for a #wedding combining #reception and #ceremony. A #corsage of #yellow #rose and #white #calla #lily with #greenery and #white #ribbon is of #elegance and #class. 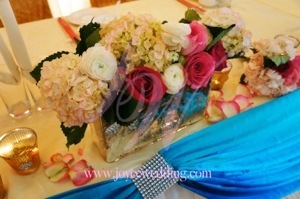 This #lovely #floral #arrangement on #head #table uses a #goldenly #shimmery #long #square #vase to #contain #green #hydrangeas, #white #garden #roses, #pink and #red #roses. 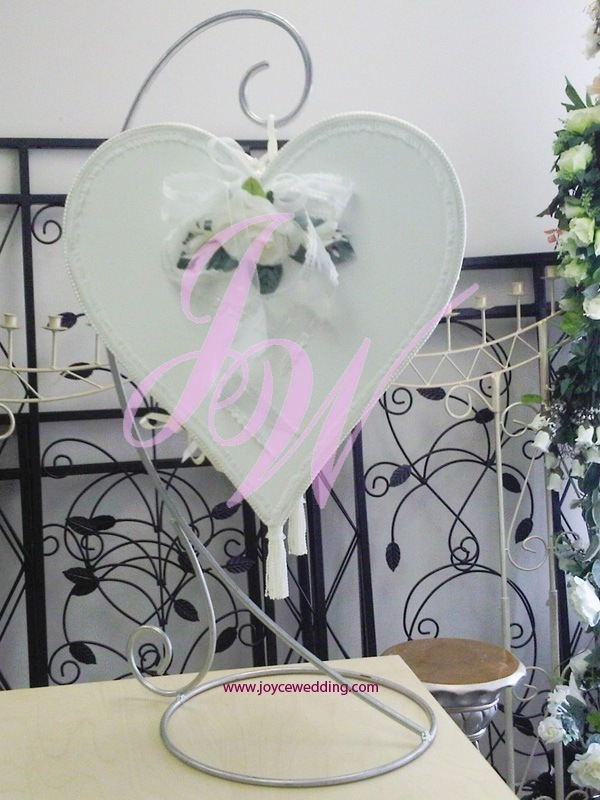 This #white #heart-shape with #white #rose #ornament of #hanging-style is an #elegant and #romantic #decoration for your #receiving #table.